I just searched for “communicating across silos” and got back about 1,800,000 results, (according to Google–I didn’t count them all). And as near as I could tell, none of them dealt with farm buildings. Clearly, there’s a lot of agreement that this is an important leadership challenge. Author Brent Gleeson noted that, unlike what he called “trendy management terms,” people are still talking about “silos” 30 years after the topic was first discussed. After sampling the search results, a couple of themes emerged. 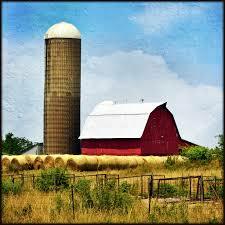 First, silos can be a problem for any size of organization. I read numerous examples of costly rework, loss of customer goodwill, and leadership frustration caused by lack of communication among people doing various aspects of the same work. Second, breaking down silos is a leadership task. We are the ones who can set up the structures and model behavior that encourages collaboration across all sorts of barriers. Third, it needs to be addressed as an ongoing strategy. Many authors recommended setting up a cross-functional team to focus on major communication efforts and ensure everyone is kept informed. This is not a task for the professional communications unit, which can become as siloed as everyone else. Rather, it should represent a spectrum of stakeholders coming together to discuss their day-to-day challenges and work together on common issues.I was a part of a team like this about 10 years ago and it still ranks as one of my most formative leadership activities. What strategies have you used to communicate across silos? This entry was posted in communication, leadership challenges. Bookmark the permalink. Thanks for this post, Dee Anne! Often we are so caught up in the work that needs to be done that we forget this important piece. Sadly, the communication of our efforts is just as important as the work itself, and sometimes more so. My colleagues and I have instituted a daily trivia game that takes up less than 10 minutes of our day, and encourages/requires us to talk to each other. We begin talking about the trivia questions and the answers offered, and wind up discussing the projects we are working on and the obstacles we have encountered. No official study has been done, but my observation is that productivity had increased and redundancy has decreased.